Go scuba diving around the colorful reefs of marine parks, hop between islands and party all night at beach resorts. 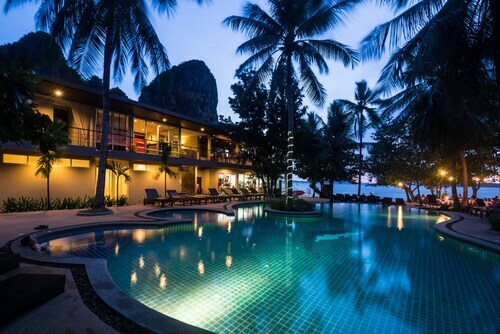 South Thailand lies on a peninsula with some of the country’s most iconic resorts. The scenic shorelines of the Andaman Sea and Gulf of Thailand flank this narrow strip of land known for its beaches and islands. Dance at full moon parties after a day of exploring the region’s nature parks and beaches. Hop between islands along the Malay Peninsula. 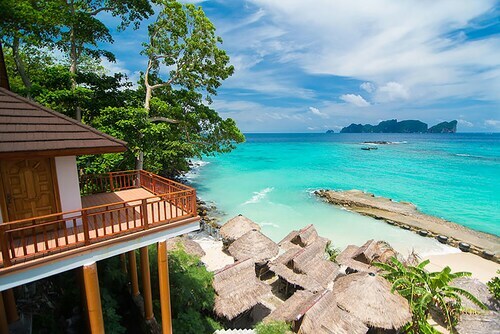 Explore Angthong National Park that stretches across 42 islands. Sail through this marine park and capture photos of the idyllic, mountainous islands that make up the archipelago. 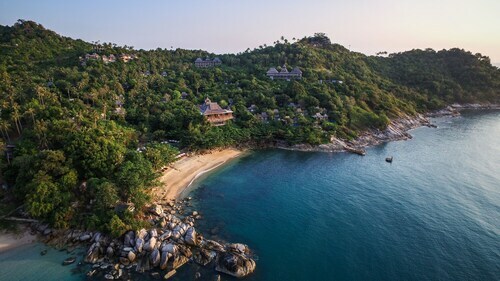 Nearby is iconic Koh Samui island, known for its beaches, nightlife and rainforest. See the many temples here, such as Wat Khunaram, Wat Plai Laem and Wat Hin Lat, next to a scenic waterfall in the heart of a jungle. The most recognizable feature here is the Big Buddha Statue just off the northern shore on islet Koh Faan. 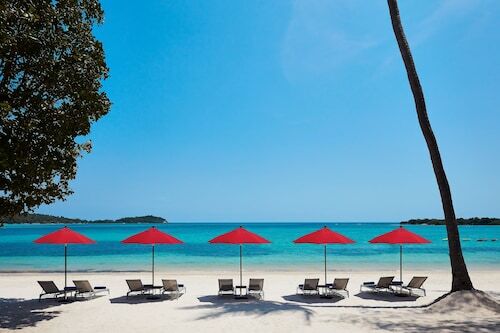 Relax on one of seemingly countless beaches decorating the peninsula’s eastern shores near Koh Samui and western shores near Phuket, Krabi and Phi Phi Island. White sands, clear waters and excellent diving make these popular spots. Visit during the dry seasons of December through April and July to August. Monsoons are common the rest of the year. For cultural experiences, head to the southeastern province of Nakhon Si Thammarat. Browse the exhibits of the Nakhon Si Thammarat National Museum, see the fascinating Wat Phra Mahathat Woramahawihan, part of a UNESCO World Heritage Site. Due to the coastal location of this region, southern Thai food comprises mostly seafood, along with coconut-based curries and Malaysian influences. Find this region south of the narrow Kra Isthmus strip of Thailand between Malaysia and southern Myanmar. Overlooking the Gulf of Thailand and the Andaman Sea, this picturesque part of the world can be reached by boats from Malaysia and Indonesia. 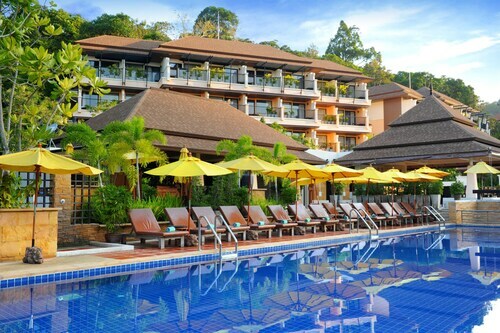 Fly to the airports of Phuket or Krabi and get around by bus or rental car. 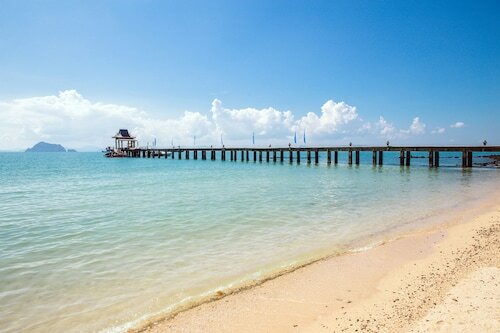 Jungles, glorious beaches, islands and marine parks make up the special topography of South Thailand. Nestled on the beach, this Ko Phi Phi resort is within a 15-minute walk of Long Beach and Ton Sai Bay. Rantee Bay and Tonsai Pier are also within 2 mi (3 km).